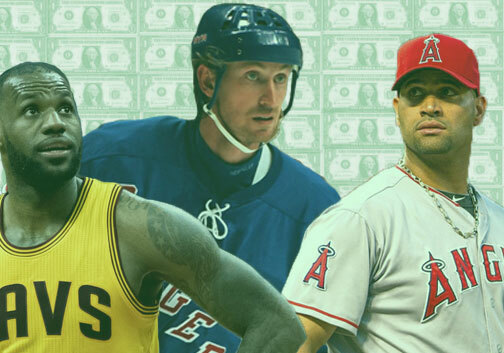 We’ve seen it in the most star-studded athletes in recent American sports history. LeBron James, Wayne Gretzky, Kevin Durant, Albert Pujols, the list goes on. Talented players bring joy to fans to the point they feel entitled to it. A player pursuing opportunities elsewhere might as well flip the bird to the entire fan base. The reality is that sports are a business, and professional athletes only have a small window of time to make as much money as possible. The hometown team might not be able to provide the contract necessary to keep the player in town, and that’s nothing against the fans. LeBron James spent the bulk of his career in Cleveland (presuming he is on the tail end of his career). The connection between Cleveland fans and James couldn’t be any more romantic: one of the greatest basketball players of all time rising out of Akron high school basketball to play for your team. He takes the team to the playoffs for the first time in eight years, then proceeds to do it another four times. A championship has never felt closer. But then LeBron stops texting Cleveland fans back. Cleveland fans begin to worry. Is LeBron sleeping with that new girl down the street, Miami Heat? Now he’s off winning championships, and Cleveland fans are staring at the bottom of a pint of Ben & Jerry’s cookie dough ice cream, loathing about how LeBron is unworthy of how good he had it. Cleveland fans don’t consider all that LeBron did for their franchise. They are only hungry for more. Professional sports careers may only last a few years, depending on injuries. 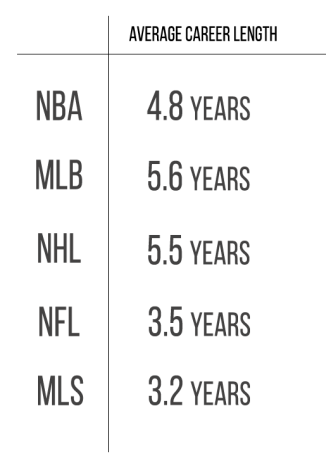 According to USA Today, the average career in the NFL lasts 3.5 years, the NBA: 4.8, the NHL: 5.5. Professional athletes nonetheless make exponentially more than the average person, but they also have exponentially less time to rake it in. LeBron isn’t playing men’s league basketball at the local YMCA after working his desk job; if he had no other worries outside of getting the ball in the hoop, maybe his ties to Ohio would mean something more. At the same time, however, LeBron stuck around for much longer than he had to. The Cleveland area meant so much more to him than a paycheck. Like any master of public relations, his charitable acts have smothered positivity. In true Scott’s Tots fashion, LeBron arranged for free tuition to the University of Akron for students who complete a program he began, which will now continue through his recently opened “I Believe” School. I digress. With enough politics being brought into sports over the past year, I don’t need to see more whiny fans burning jerseys. Go back to your mother’s basement and finish your Ben & Jerry’s.